Altuve is having a career year, on pace for over 220 hits and 70 stolen bases. In an era of huge swing and miss on the offensive side of the game, Altuve lacks patience but makes consistent contact, putting the ball in play to utilize his speed. 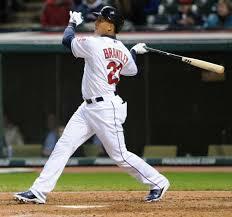 He leads MLB with his 128 hits, with 20 of those coming on infield hits. With Jon Singleton and George Springer joining him in Houston this season, a glimpse into the Astros’ future is upon us. “Dr. Smooth” has already eclipsed his previous career-high in home runs (10 in 2013) this season, and will easily surpass his career bests in several other categories, and if that wasn’t enough, he is tied for the MLB lead in outfield assists (10, though he has negative defensive value). You likely don’t earn anything for those throws, but Branley’s bat has kept an up-and-down Indians club in the AL Central race all season. His career contact rates suggest that this breakout is legit – not bad for the player to be named later in the C.C. Sabathia deal, huh? To think that Gordon was “in the mix” for the second base job this spring after the Dodgers signed Cuban infielder Alex Guerrero seems absurd when looking at his offensive impact this season. The speedster has obviously assisted fantasy players with the league-leading 42 stolen bases, but getting on base (formerly a problem) has allowed him to be driven in by Matt Kemp, Yasiel Puig, and the other Dodger hitters. Sometime you just need a long-term look to show what you have. The Dodgers committed to him, and Gordon is rewarding many people so far this season. I wasn’t much of a believer in Hamilton given his struggles in Triple-A last season, but he has certainly proven me wrong. While he isn’t leading the league in steals, he has certainly given the Reds an dynamic defender in center and a threat to score at will. The power is just icing on the cake for fantasy owners. His recent tear (.344/.375/.574 over the last 15 games) has not only increased his numbers, they have helped put the Reds back in contention in the NL Central. 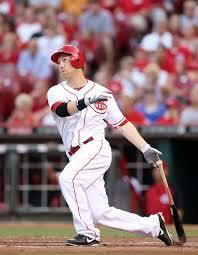 Todd Frazier is the second most valuable third baseman in baseball in 2014 (based on WAR, 3.5), ahead of the likes of Evan Longoria, David Wright, and Adrian Beltre. He’s hitting for power, he’s running, and, the best part, nothing in his numbers truly suggest a regression. With the hot months ahead of us and Great American Ballpark being a notoriously friendly environment, we could easily see 30 home runs and 100 RBI next to his name at the end of the season. Perhaps we should have seen this coming after Richards had one of the top fastball velocities in baseball in 2013. After all, if you consider that his average fastball was 94.8 mph in 2013, he would have ranked in the top four in baseball behind Matt Harvey, Stephen Strasburg, and Jose Fernandez. Good company. Better results. Simon is leading MLB in the all important WIN. Ugh…the win…well, it still matters in fantasy. The FIP suggests he could see regression, but the bigger question is the number of innings he will log, as his career-high for innings was in 2011 when he reached 115.2 for Baltimore. He will likely spend some time in the Reds’ bullpen to limit those down the stretch, or a burnout is likely. His career was nearly over in 2011 due to shoulder issues, he missed all of 2012 and then the solid return in Cleveland was special…but this is incredible. 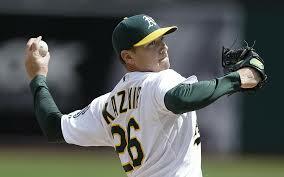 Kazmir deserves this success after overcoming so many obstacles, and the A’s look intelligent, as always, in their wise investment – as do fantasy owners. Alvarez has a heavy fastball that he can’t blow by many, but it manages to keep the ball on the ground and in the park. That has helped him take a big step forward in his production on the mound this season. At 24, he is a strong dynasty option. He really knows how to pitch and his command will keep him relevant if and when he loses his velocity. Chicago Cubs: Is There Such a Thing as Too Much Depth?